Stoll adds this latest accolade to several other recent accomplishments including being named the 2014 American Chemical Society Division of Analytical Chemistry Dr. Sut Ahuja Young Investigator Award in Separation Science, and receiving a $60,000 unrestricted research grant from the Camille & Henry Dreyfus Foundation as part of its Teacher-Scholar Awards Program. Stoll is currently in the middle of a six-month sabbatical in Germany working at a research and development site of Agilent Technologies—a leading provider of bio-analytical and measurement solutions in life sciences, chemical analysis, and diagnostics. 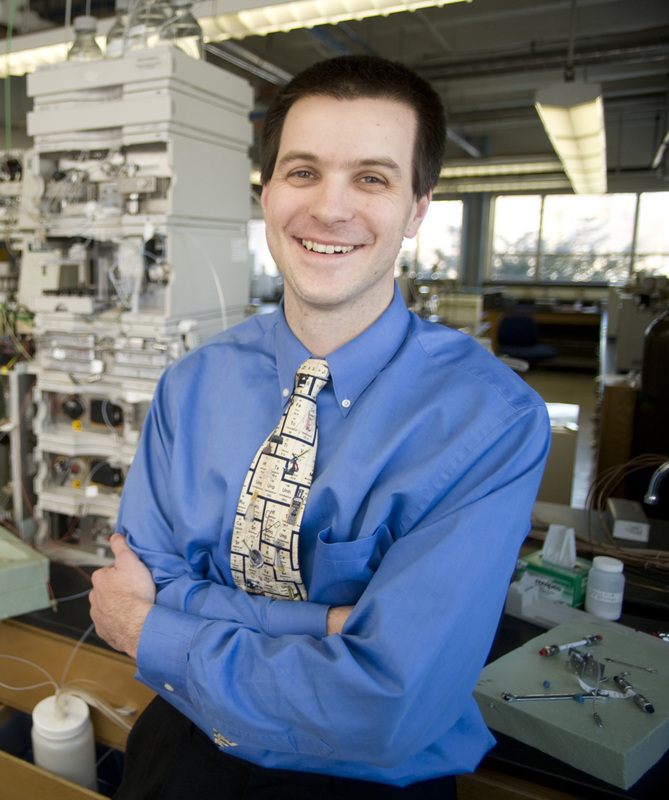 Since joining the Gustavus faculty in 2008, Stoll has successfully established an independent research program focused on the development and application of two-dimensional high performance liquid chromatography for the analysis of samples of moderate to high complexity. In addition to authoring 16 journal articles and book chapters since 2009, Stoll has secured 13 external research grants from funders such as the National Science Foundation and the Legislative Citizens Commission on Minnesota Resources. The Analytical Scientist launched in January 2013 and encompasses a print magazine, a global website optimized for tablets and smart phones, and an iPad app. You can read more about the publication’s Top 40 Under 40 list on the magazine’s website. For more information about Stoll and his research, you can link to a previous story on the Gustavus website.